There are a variety of reasons why you'd choose a Rabbitgoo Harness over a collar, but the big ones are choking, training and lifting. 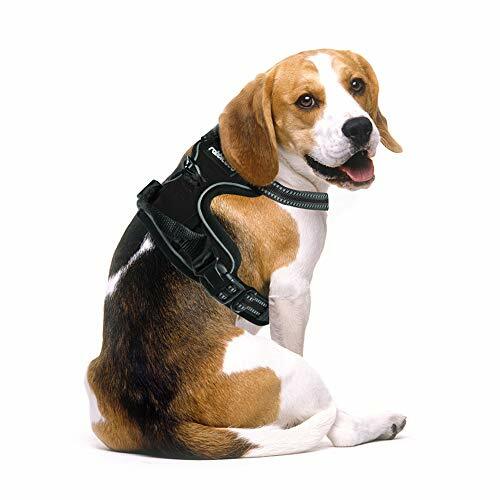 Traditional collars tend to choke when a dog pulls, but Rabbitgoo Harness distributes the weight across the chest.
? There's a metal ring on the front chest plate. If your pup tries to pull, it will just turn him around effectively training him that pulling will get him nowhere.
? 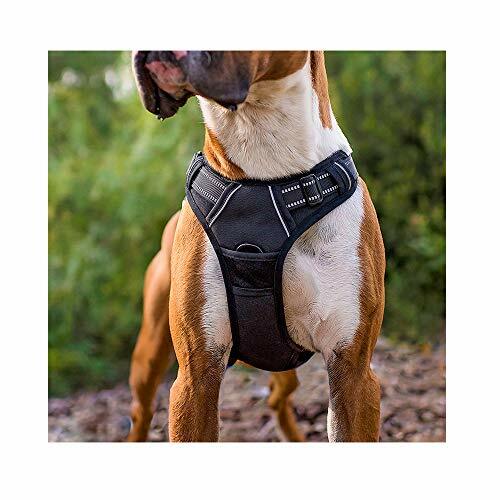 It'll give you extra places to grab when you're trying to lift older dogs or give your adventure dog a hand over some rocks while hiking or extract them from water while boating.
? 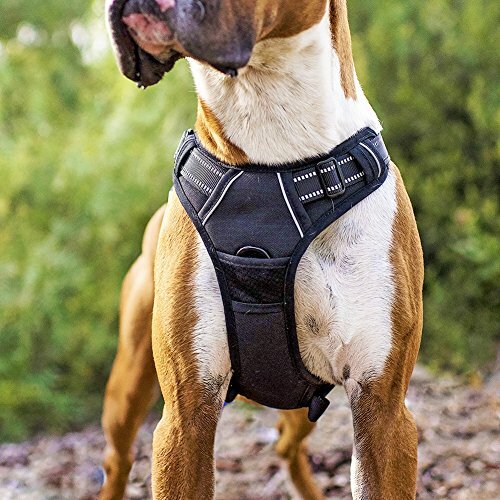 Adjustable and Reinforced Straps create a custom fit and security for your dog.
? High Visibility in Reflective Strips ensure your dog's safety in the night when he/she is walking out alone.
? Softer & Heavy Padding is evenly distributed to the body to prevent pulling and choking. 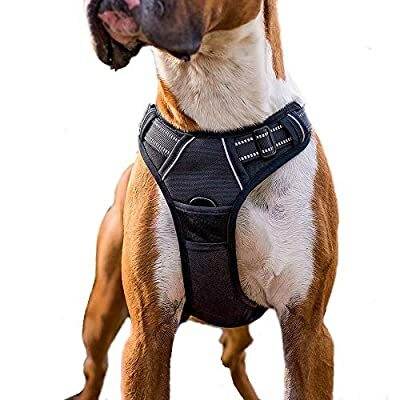 * This design can protect your dog's belly and chest. You don't need to worry about choking your dog or hurting the throat.